By now, you probably know of certain exposures—like nuts, perfume, dairy, or even motion sickness—that trigger discomfort. Naturally, you avoid these triggers to avoid uncomfortable symptoms. Most people don't consider electromagnetic fields (EMFs), which may compromise some people's wellbeing. EMFs may contribute to a set of symptoms that some countries, including Sweden, recognize as a disability. In this article you’ll learn key things about electromagnetic hypersensitivity (EHS). You will understand the current situation involving EHS, its history, as well as essential tips to help prevent experiencing its symptoms. Electromagnetic hypersensitivity (EHS) is a sensitivity to electromagnetic fields, to which “nonspecific symptoms” are attributed. Some of these symptoms are also referred to in the popular press as "WiFi allergies." sensory sensations, like stinging, itching, burning erythema, eczema, rosacea; as well as fatigue, headaches, sleeplessness, dizziness, cardiac and cognitive symptoms. Cell phones have been in mainstream usage for only a decade or so, and yet radiation-induced brain tumors normally take about 10–15 years to develop, according to the American Cancer Society. I had to chuckle about that. Before getting evaluated for psychiatric conditions, there are some easy things you can do to experiment with whether reducing your EMF exposures help you feel better. Like don't sleep next to your cell phone unless it's shut off, or on airplane mode! Some people notice a significant improvement after one night. It would be nice to think that something like radiation, and other types of EMFs, is negatively affecting only people working with unusually high exposures everyday. 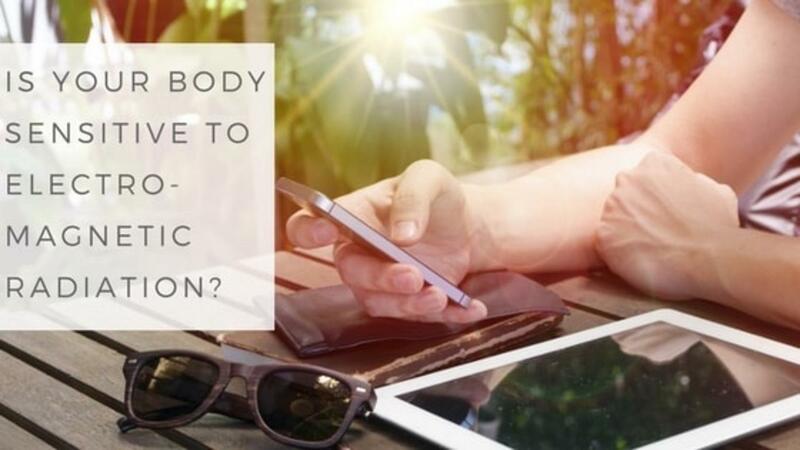 The reality is that EHS symptoms may occur when you are exposed to any of your regular devices emitting EMFs (electromagnetic fields) and EMR (electromagnetic radiation). The symptoms are strongest when you are up close, and subside as you move further away from the source. This means that when you are actively using your Bluetooth headset, or spending prolonged periods of time sitting next to your cell phone or WiFi router, you may be more likely to experience stronger symptoms, like headaches, nausea, brain fog,, and disrupted sleep. Like with many health issues, there's never a single cause. But, rather, our health issues result from a confluence of many factors. Similarly, there may be more than one reason why you're experiencing a set of “nonspecific symptoms," of which EMFs may be a contributing factor. You’ve been around technology since you were a child, so how could it make you feel bad? As it turns out, your body can become more sensitive to the exposure, and symptoms can occur after being subjected to just a small amount of EMFs and EMR. In addition, scientists may not yet understand how to most accurately test how EMFs may contribute to the potential adverse health effects. The WHO recognizes that other environmental factors could cause EHS symptoms, including the “flicker” of fluorescent lights, the glare from screens, indoor air pollution, and excessive noise. It most likely results from a cocktail effect of several factors. Although our current dependence on technology is relatively new, it hasn’t stopped doctors and scientists from questioning the risks associated with it since its earliest beginnings. One German medical doctor, Erwin Schliephake, was the first to recognize EHS in 1932. Dr. Schliephake published scientific data about his patients that were experiencing significant symptoms around radio towers. His results led him to name the condition “microwave sickness” or “radio wave sickness”. Sound familiar? The scientists behind other studies thought so, too. Since Dr. Schliephake published his data at nearly the onset of technology to society, it would be easy to dismiss his findings as an overreaction, or a misunderstanding for some other cause. But later down the road, other studies about radiation showed similar results. A report from the Soviet Union in 1970 described what was called "microwave syndrome" among military staff working with radio and radar equipment. This shows that whether or not you are certain the symptoms came from the radio towers or radar equipment, the implications are too close to be entirely ignored. If you relate to some of these nonspecific symptoms, there's no reason not to experiment with limiting your EMF exposures to see if you feel better. Change the way you use your cell phone. One high-impact way to limit your EMF exposures is to minimize your cell phone usage. When you are using it, it is important to remember to put the phone on speaker and hold it away from your head. Keep distance from it! You could even use an air-tube headset while talking. Never carry your cell phone on your body. When you must, then turn the phone either off or onto airplane mode. Do not give a cell phone to your child (except for emergencies). Children have thinner skulls, so the radiation can penetrate deeper into their brains. When you must, then turn the phone to airplane mode. Do not use cell phones in the car. Cars act as a cage which traps the radiation around you, causing more intense exposure. Turn off the internet connection on your phone (3G/4G) as much as possible. Smart phones are constantly emitting EMFs to search for a signal and to send/receive data. Turn off your home/office wireless network. You can revert back to an old fashioned cable instead. Do not put your laptop on your lap and try to keep it away from your body. Unplug all electronic devices in your house when not in use – this includes appliances in stand-by mode, as they still produce an electromagnetic field. Be wary of dimmer switches and electric blankets. Be mindful of your proximity to cell phone towers as they are high EMF emitters. Use your microwave oven less and more carefully. Developing awareness of where these symptoms of EHS are coming from is half the battle. You have learned the history of EHS and where we stand with it today, as well as tips on how to prevent its negative effects on your own health. We want to help support you in taking it further. Try our 21-Day Digital Detox to learn how to manage your exposure to EMFs and prevent electrosensitivity.